Roma United (blue) defeated Sunset FC to secure their maiden cup final berth. 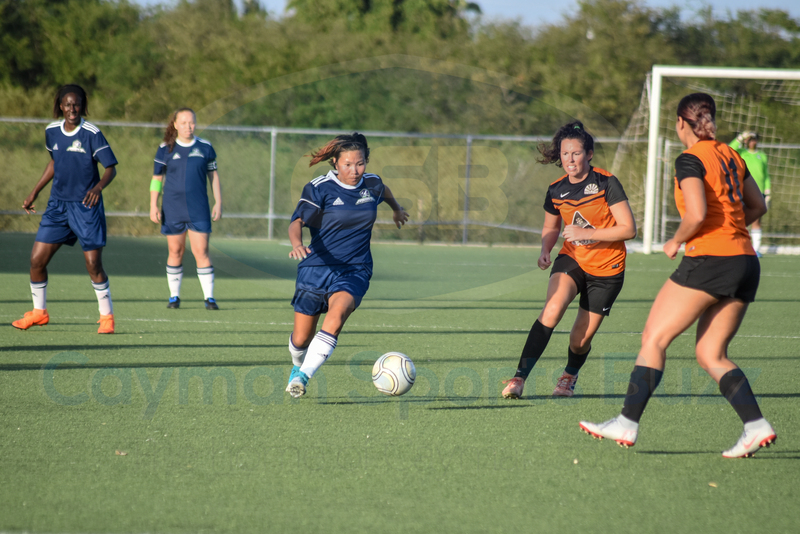 Debutants Roma United upended Sunset Football Club to set up a showdown with Elite Sports Club in the Cayman Islands Football Association (CIFA) 2019 Women’s President’s Cup, as both teams booked spots in the final with wins on 10 February. In the first semi-final, Sunset FC struck first when Justina Range found the target 22 minutes into the game. 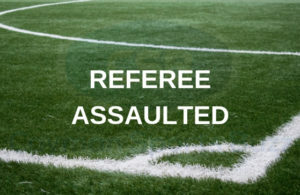 Roma United, made up of players from Fusion FC, hung in there and pulled level when captain Jetena Bodden hit a sublime corner kick that curled past the keeper and into the upper right-hand corner of the goal, much to the delight of the West Bay faithful who had gathered at Ed Bush Sports Complex for the encounter. Jetena Bodden scored the goal of the day with an expertly taken corner. A second half goal from Donai Williams five minutes from full time sealed the deal for the team playing under the banner of Roma United. It was the first win for Roma, who have had one draw and five losses in the regular season. 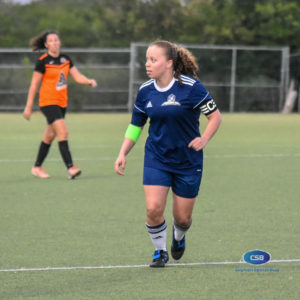 The second semi-final saw Elite Sports Club beating rivals Scholars International 2-0 with goals coming from Marissa McLaughlin (3’) and Shonelll Hopkins (90+3’). 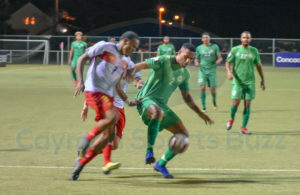 Roma United and Elite Sports Club will meet in the final at the Annex in George Town on Ash Wednesday (6 March). 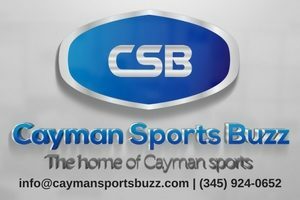 Kick-off is scheduled for 5:00pm with the men’s final (teams still to be determined) set for 7:00pm on the public holiday.